Many people want to have a gorgeous garden but due to time constraints they are intimidated to have one. But no worries. 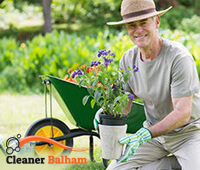 If you live in Balham, the garden of your dreams can be done and maintained by us. No effort involved on your part. Just give us directions, tell us exactly what you want to put in it and we will do it for you. 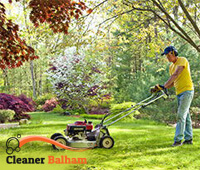 We offer versatile services such as pruning, landscaping, lawn mowing and trimming. Anything you want, we have it covered. No additional costs. Get your free estimate by phone right away. As far as our gardeners in Balham are concerned, there is no doubt they are skilled and professional. We always employ people who have wide knowledge about and extensive experience in gardening. That’s why we are confident we can meet your expectations. Having your own garden involves time commitment which few people are able to give. Using our gardeners you won’t have to worry about that anymore. We will make it possible for you to grow your own garden or keep your lawn in tip-top shape without effort. Whether you want to have bushes, grass, flowers or all of them, it’s not a problem for us. We have experience with gardens and we know what’s best for your outdoor area. We not only prune trees and cut grass, but also clean up gardens and provide additional maintenance jobs. We use modern gardening tools and the best machines. We do obtain great results and our existing customers are very happy with their gardens. We make sure to fulfil their requests. Rest assured we will address your requests in a fast manner and visit your place without delay to transform your outdoor area. We can also give you advice about any gardening task. We are positioned in Balham. If you decide to use gardeners, don’t be intimidated to call us. We will give you a helping hand whenever you please.